Based on Haling Road, South Croydon, the premises of Horn Autos began life as a stable for Uni-Gate Dairy, and was originally the first step of the journey for the changeover of horses for the London to Brighton stage coach. In the decades that have followed those momentous occasions, the site has witnessed many changes until it was finally converted to our home. Since launch, we too have seen many changes, but one thing that has not altered is our commitment to providing you with a top quality service. Our garage is open Monday to Friday from 8:30am - 5:45pm and all major credit cards are accepted. 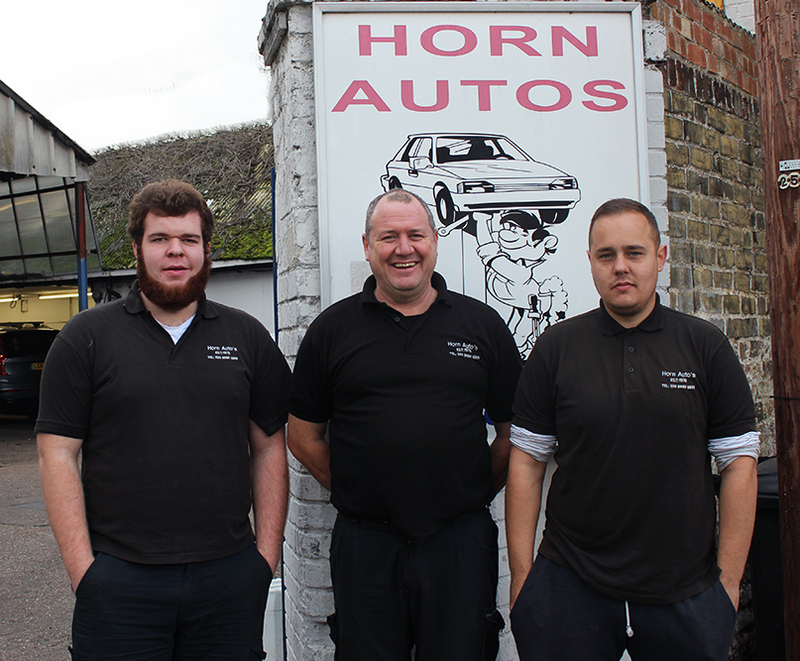 Simon started by helping out at Horn Autos in the school holidays at the age of 11 at the family business. He trained at a Nissan main dealer alongside his studies at Croydon College, he went on to obtain 7 City and Guilds Motor Vehicle Technician qualification's. He also obtained certificates in engine and gearbox maintenance, electronics and vehicle injection systems and reaching the National Craftsmen Certificate. He has worked at Horn Autos full time since 1987 and became the new proprietor in 2000. Dave Studied at the Remit Centre for Technical Excellence where he obtained NVQ levels 1,2 and 3 in Light Vehicle Maintenance and Diagnostics. He was also nominated for apprentice of the year in 2006. In addition to this, he is a member of the Institute of Motor Industry and he has worked full time at Horn Autos since 2005. Dom also Studied at Remit Centre for Technical Excellence where he obtained NVQ levels 1,2 and 3 in Light Vehicle Maintenance and Diagnostics. In recent years he has become a qualified MOT tester and is certified to work on air conditioning systems and handle refrigerant. He has worked full time at Horn Autos since 2007.